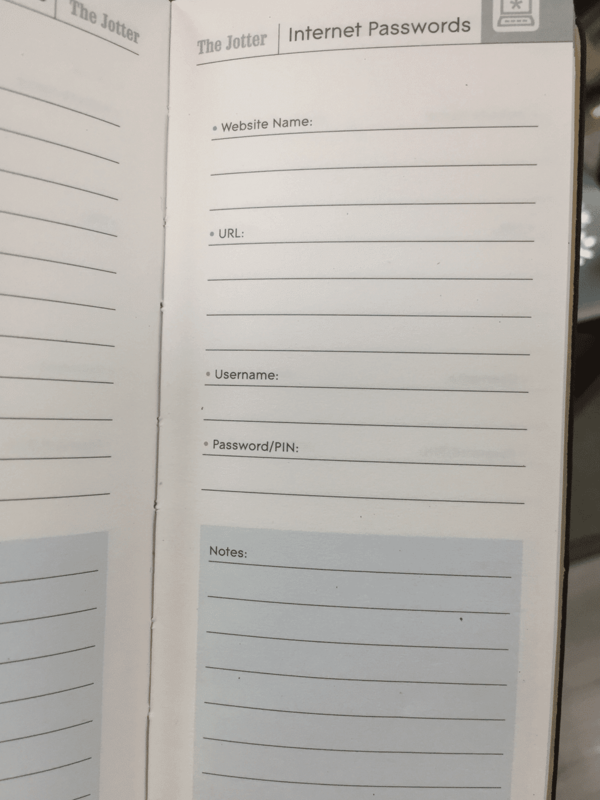 I came across this note book whilst out and about with friends this weekend. 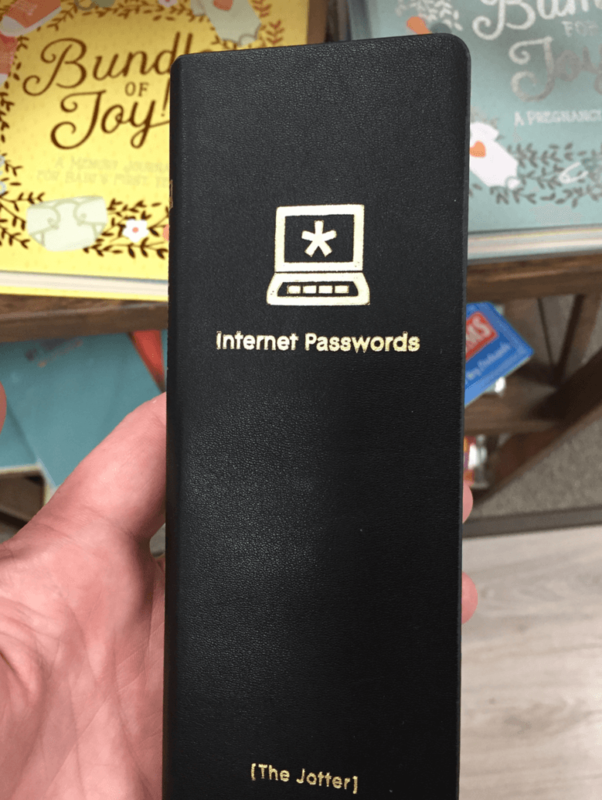 It looks pretty innocuous at first glance but a look inside shows that it is planned to be used to store your most important passwords next to the site names and URLs, all in one handy, easy to pick up and put in your pocket, plain text file of all your online accounts. I know it is probably a gimmick, but it is one that someone is going to use and could potentially be giving someone access to their whole online portfolio. I should buy these up and burn them, to save someone from getting into serious trouble.